While Jonathan Maberry writes often about zombies, there is no truth to the rumor that he might be one himself: it only appears he never sleeps. The perpetually busy Maberry – a five-time Bram Stoker Award winner and a frequent NYT bestseller – is the author of, among many, many things, the Joe Ledger thriller series, the Rot & Ruin YA series, the Nightsiders series, the Dead of Night series and the Pine Deep trilogy, as well as comic books, short stories and scores of nonfiction books and magazine articles. He is also the editor of many anthologies including The X-Files-Trust No One, Scary Out There, Out Of Tune, and V-Wars. A staunch advocate of writers supporting each other, he is also the founder of the Writers Coffeehouse, a meet-up group for writers of all levels with chapters now sprinkled around the country. Given all that – and trust me there is so much more – I’m really thrilled he recently broke away to share some time with The Open Mic. THE OPEN MIC: You are without question the James Brown of our world – the hardest working man in publishing. How do you manage to keep so many projects going at once? JONATHAN MABERRY: I have pretty good work habits. I studied journalism at Temple University, and that taught me a lot of about efficiency, respecting deadlines, doing research, and understanding that being a professional writer is the same as being a small business owner. You need to be responsible and efficient in order to run a successful business and be happy in your job. Plus, having a lot of projects in the works in various stages absolutely guarantees that I will never be bored. And, believe me, I am never bored. THE OPEN MIC: You mix so many genres – thriller, horror, YA, comics, even board games. Is there a genre or another form of writing we may see from you at some point? 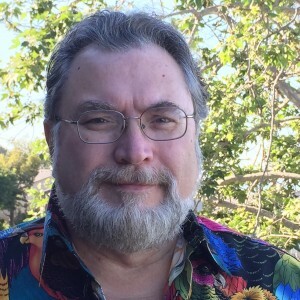 JONATHAN MABERRY: I’m always looking for a new challenge, a new creative opportunity. I have my first contemporary teen science fiction novel coming out in 2017 –Mars One—which is a very realistic story about space travel to Mars. I’m working on a suspense novel with some urban fantasy elements that will be my first female protagonist standalone novel. And I have some things in pitch form and planning form in other genres, including a mystery-thriller, a contemporary graphic novel about dying, a children’s picture book, and even a coffee-table book that would combine some flash fiction with photography done by a friend. After that…who knows? I’m even working on my first script for a possible TV pilot.